IAM - Global Entrepreneur with experience in private equity, media, real estate development, art trade, sports, entertainment and financial services. Mr. Dinnerman has extensive experience building development projects including various Japanese groups internationally and has participated in various Japan, Korea, India related projects. IAM - Dr. Lee is a professor in Korea at university. Bryan Lee brings in over 20 years of experiences in Strategic Planning, Venture Investment, M&A, and Creative Problem Solving. After he received his Ph. D. in Economics on Banking Efficiency, he served as Sr. Economist at Aquila Inc., Energy Merchant, Professor of Business Administration at Missouri Western State University where he taught Management Information System. After he left the university, he joined GCIG, a Korea-based business consulting service firm that specialized in M&A advisory services and served as Executive Vice President of the company. Then he joined GS Global, a US based private equity company and served as a Managing Partner. He came back to Korea in 2009 and joined Chungwoon University where he currently serves as a Professor, a Managing Director of Chungwoon Industry - Academy Cooperation Foundation, and CEO/President of Chungwoon Technology Venture Investment. Rutger is an internationally recognized hospitality consultant and business leader with over 30 years of experience in hotel operations, advisory and company management. In the early stages of his career Rutger gained operational experience working for a global hotel operating company in Europe and Asia. He then transitioned into hotel consultancy and spent 20 years building the hospitality practices of (Arthur) Andersen, HVS, Deloitte and ultimately as the MD for Cushman & Wakefield Hospitality across Asia Pacific. Rutger has managed market feasibility and concept development studies, operator searches, and strategic assignments across both mature and developing markets in Europe, the Middle East and Asia Pacific, for hotels and mixed-use projects including residential, commercial, retail, leisure and entertainment facilities. Most recently he was the company CEO for hotel owning companies in the Middle East, driving strategy development, asset management, acquisitions and property (re)development and responsible for a portfolio of hotels managed by leading international operators including Hilton, Hyatt, Marriott, Four Seasons, Shangri-La, Accor, Carlson and others. Rutger graduated from the Institute of Hospitality Management in The Hague, Netherlands. He is a regular speaker at industry events and maintains relationships with the top management companies and executives in the global hospitality industry. IAM - Mr. Kang is a successful Korean businessman with investments in entertainment in association with Lotte. Mr Kang is a former Shinhan Banking professional and has access to Shinhan groups very large network and investment platforms. Mr. Bassin is CPA in NY and has managed various funds and development projects.- Experience with Mergers & Acquisitions, Treasury, SEc and GAAP Compliance, Audits and Surbanes - Oxley (SOX), Construction, Real Estate, Risk Management. Education B. A. Accounting Queens College flushing NY. Licensed CPA in NY State. Andrew T. H. Lau - Hong Kong based Chartered Accountant (CA) and a practising Fellow Certified Public Accountant with professional qualifications from the Hong Kong Institute of Certified Public Accountants, Institute of Chartered Accountants in England and Wales. Andrew holds a Maters Degree in International Relations, E-Commerce and internet Computing, and with a Master of Finance in Risk Management. Having spent a considerable amount of time at Price Waterhouse Coopers has extensive board experience for listed and unlisted companies. Mr. Kamioka has spent a career managing large industrial complexes for leading Japanese groups such as Panasonic and Pioneer. Mr. Kamioka served as a senior executive to both Panasonic and Pioneer and managed hundreds of industrial facilities and factories globally and with frequent travel to, Brazil, Malaysia, China, Singapore, US, Mexico and Japan. Education - Tamagawa University Tokyo Japan BA in English San Diego MBA. Mrs Chin has extensive experience in real estate having worked as CFO of Svails Asia Pacific as well having held mangement positions at Deloitte,Moody's and Bloomberg. Education - University of Machester School of Business. Paul is a global Entrepreneur with companies in food service Delori Foods with distribution in more then 100 countries, distribution, logistics, financial services, manufacturing and staffing. Paul holds a B. S. from the USC Entreprenurial Program. Mr. Meiner has extensive construction experience and developing major projects in North America. Lead developer of townships mix use projects. Construction, high end resort, sub division properties, including Kicking Horse Mountain Resort with 1000 units annual budget of $50 million. High River Project 895 lots, family mixed use and Medicine Hat 783 single Family lots. Built 600 units in Calgary Alberta, 250 units in Edmonton and 100 in Alberta. Managed retirement home package of 200 units Capital raising through various ways private investors, institutions, and high net worth individuals. Education York University School of Business Masters Camsoun College Civil Engineering. Mr. Tran is a real estate professional with strong experience US and Vietnam related projects. Mrs. Toyooka is real estate broker with over 40 years of experience and serves as a inhouse agent for any residential or commercial projects. National Association of realtors, Honolulu board of realtors, Hawaii association of realtors, Certified residential specialist, Certified residential broker, principal broker. Repeated Centurion level, international high end clients. Extensive international experience. Hideki Sato - Japan lawyer and partner at in Real Estate experiance in general corporate affairs in Japan. Graduated Keio University, Tokyo Japan. Gautam Khurana, is the managing partner of the India Law Offices. Gautam Khurana specializes in foreign investment and corporate law in India, with extensive experience in acquisitions & takeovers, corporate laws, cross border litigation & arbitration, project & structured financing and direct & indirect taxes both domestic & overseas jurisdictions. He is regularly called upon by foreign and domestic corporations to advise them on complex corporate and finance matters & transactions. Gautam Khurana has passed out with B. Com (H) from the prestigious Sri Ram College of Commerce at the Delhi University and thereafter passed out from the Campus Law Centre, Main Campus, Delhi University in 1993. He is registered as an advocate regulated by the Bar Council of India. Mr. Jain has extensive experience in India working on various large commercial projects. M.R. Tim.S Bhanubandh Director, advise and partner of IAM, Khun Tim is a highly esteemed Thai Real Estate developer and Chairman of the Maneeye Group, With successful properties such as Maneeya Center, Renaissance Hotel Bangkok, And the Waldorf Astoria Bangkok as well as Kiplling Fashion, Moll B Khao Tao and Hua Hin Resort. Hospitality professional with over 16 years of industry experience in development and sales & marketing in Asia and North America. Over 16 years of hospitality experience in development, sales and marketing roles, across various geographies including South East Asia, India and North America, extensive knowledge of business trends in SE and South Asian economy. Excellent negotiation, analytical and quantitative skills. Ability to adapt to different cultures and work environment. Fluent in English and Hindi. Ability to build and fortify relationships with key internal and external stakeholders. Skilled in leading, directing, motivating a team and building an environment of trust that enhances performance. Source and evaluate opportunities, negotiate and execute management contracts for new builds and conversions in Asia Pacific (excl. China), in sync with FRHI’s Regional and Global growth strategy. Led and concluded the management agreement negotiations for FRHI’s first property in Malaysia, Fairmont Kuala Lumpur, FRHI’s first resort property in Indonesia, Fairmont Bali, FRHI’s first Swissotel property in Indonesia, Swissotel Bali and Swissotel Patong, Phuket totaling approximately 1400 keys. Signed contracts for Swissotel brand to manage their first golf course in the world, in Bali. Work closely with VP Residential to source and evaluate co-located branded residential opportunities. Maintain an active network of industry contacts that includes hospitality consultants, industry peers and real estate companies. Lead the due diligence efforts including site visit to ensure that the potential opportunities comply with FRHI’s established deal criteria. Carry out financial analysis for each opportunity and review the proforma and projected fee income with Senior Vice President of Operations. Prepare and present memos to FRHI’s Development Committee on potential opportunities and get committee’s approval for executing hotel management agreements. Participate in development of annual strategic growth plan for the region. Conduct research on key markets/emerging markets in the region, current performance of the industry and emerging trends in these markets. Work closely with design and construction team to present the owners with preliminary area program & brand guidelines and to share with the owners, the feedback from design and construction team on the plans provided by the owners. Work with operations team to ensure a smooth transition to operations team after the signing of agreements. Train and mentor new analysts on FRHI’s financial model, brand standards, LOI template, deal screens and reporting tools. Plan and organize FRHI’s annual F1 event in Singapore. Actively assist the Director of Sales and Market in preparation of annual budget and presentations to the owners. Work with the DOSM on finalising rate strategy for RFP season and ensure rate integrity and profitability. Develop quarterly strategic action plan for the business travel segment. Achieved 105% of year to date Oct 2010 individual sales goal. Evaluate hotel’s performance on hotelligence, a key channel for corporate individual business. Formulate and implement strategies to increase revenue penetration index from this channel. Work closely with the global sales team and my counterparts in other Fairmont hotels in Vancouver on the strategic positioning of each hotel, to ensure higher market share for the Fairmont brand in Vancouver. Analyze competitor’s activities, strategies and positioning. Active participation in rebranding of Raffles The Plaza to Fairmont Singapore, the first Fairmont hotel in South East Asia. Transition to Fairmont standards and programs after the rebranding. Achieved SGD 4.1 million in revenue in 2008 from my individual account base, 117% of my annual goal. Prepared monthly reports for Regional Vice President on performance of business travel segment and identified regions that needed efforts for creating and enhancing brand awareness. Assigned Group and Business Travel quotas to individual sales managers for both the hotels and conducted the annual LEAD review for the corporate team. Launched Resplus in Asia. Identified and partnered with local suppliers for the program. The program crossed a membership base of 400 members in year 1, highest ever in a city within a year. Key account management for all financial and pharmaceutical accounts including groups and business travel from Eastern Canada and USA. Analyse all group business before deciding on the rate strategy for each group to maximise revenue for the hotel. Achieved CDN 2.8 million in revenue in 2006 from my individual account base, 114% of my annual goal. Worked closely with convention centre and nearby hotels to enhance group business into Calgary. Create brand awareness through loyalty programs like GAPP and Resplus by making calls on local contacts and consortia accounts. Awarded Fairmont Masters in 2006 and 2008, both years that I was eligible for the award and in two different geographical markets. FRED SCHUSTER - Owner/CEO, Del Mar, CA FGS Realty Advisors, Inc.
Commercial Real Estate consulting and brokerage firm with an emphasis in hospitality. Areas of focus include: accounting & finance, litigation support, expert witness – forensic accounting/economic damage analysis, strategic planning, brokerage services, capital raising & development advisory services. Four Seasons Hotels & Resorts - Various financial consulting services including construction and consumer receivables loan support. Bluegreen Vacation Club – consultant & advisor for several acquisition opportunities, including outright purchases, fee for service contracts and just in time acquisitions. Vail Plaza Resort & Club – Provided valuation/acquisition analysis for a $50m mixed-use Resort (Hotel and Fractional Ownership) project in bankruptcy. Construction defect/business interruption loss claim - mixed use Luxury Resort project located in Santa Barbara, CA. Class action case - Luxury Resort Hotel/Condo project in Las Vegas. Wyndham, Marriott, Welk Resorts, Holiday Inn Vacation Club, Hilton, Westgate, Interval International/Hyatt/Starwood, Diamond Resorts. The Blake Hotel Chicago – repurposed this iconic Hotel to timeshare use, resulting in an exit play for Lender/Owner at 4 times the existing hotel valuation. Instrumental in growing company to 300 agents - generating over $1B in annual sales volume, opened 8 branch office locations, established in-house Escrow operation, and entered in affiliation agreements with mortgage, title, and property management. Broker Wolf (real estate agent productivity reporting and compliance), Skyslope (transaction management system including broker compliance), Quickbooks (accounting and financial reporting), FPS (escrow processing & trust accounting system), and Payroll system. Key member of start-up management team of the Residence Clubs division. Division exceeded over $100m/annually in revenues and included four properties in sales and over ten projects in various stages of development. Functioned as CFO for division and coordinated efforts of accounting, finance, operations, development and legal. Sourced, developed and managed relationships with lenders while successfully closing construction & hypothecation loans in excess of $300m. Established consumer finance guidelines, contributing to increased volume, increased finance profits and very low delinquency rates. Provided oversight and coordination on all aspects of legal issues including; multi-state BRE sales registrations, entitlement work, financings, and development & management agreements. Large commercial real estate & health club development & management company. Managed accounting staff and provided technical guidance for department of 20 at corporate and 10 controllers at properties in the U.S. and Canada. The Sporting Clubs of America – 10 mega health clubs (in excess of 100,000sf each), located throughout North America. The Aventine, La Jolla CA – an 11 acre mixed use development including a 419 room Hyatt Regency, 210,000sf class “A” office space, a 33,000sf state of the art athletic and spa facility – The Sporting Club, and a restaurant row consisting of 4 top quality restaurants. Provided treasury function on projects totaling in excess of $200 million including review of loan draws, job cost reporting, development cash flows and partner/lender interaction. Coordinated the preparation and filing of over 50 annual tax returns. Monitored all external reporting and coordinated outside audits. Performed corporate risk management function. Point person during bankruptcy proceedings. International CPA firm specializing in the Real Estate industry. Provided auditing, consulting and tax services for many well-known and established real estate clients. MR. PAUL WAN - Managing Partner of the firm, Paul Wan & Co.
is a fellow of the Institute of Chartered Accountants (England & Wales) and a practicing member of both the Institute of Chartered Accountants (England & Wales) and the Institute of Singapore Chartered Accountants. He obtained his Chartered Accountancy qualification in 1982. Mr. Wan has been working in the accounting practice since 1979 and has almost 37 years of experience. He was trained in the United Kingdom and was working with KPMG prior to setting up “Paul Wan & Co”. He was in KPMG Banking Audit Specialist Unit and has audited major banks from America, Europe and Asia. He has been involved in extensive practical experience in handling major audit assignments of both private and public listed companies including IPO work in various industries. Mr. Paul Wan is the Managing Partner of the firm, Paul Wan & Co., a member firm of worldwide accounting association, Morison KSi. Mr Wan is a Director of Morison KSi and current serving Chairman of Morison KSi Asia Pacific. Mr Wan is also the President of IFA Capital Group which has 11 offices ranging from Asia to the Middle East. IFA Capital group are corporate finance specialists and financial advisors assisting clients to list globally, merger and acquisitions and raising funds from the capital markets. Mr. Wan is also the Company Managing Partner of InterAsia Capital Inc and Asset Management Company with offices in New York, Toyko, Singapore and Hong Kong. Mr. Paul Wan has served on government linked companies as the independent Director – where the Directorship has to be approved by the Prime Minister of Singapore. 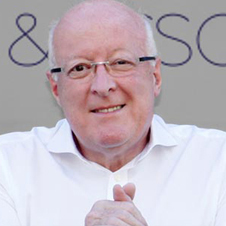 Born in the United Kingdom but now splitting his time between the Asia-Pacific region and Europe, Paul is a veteran leader in international resort development consultancy. One of the industry’s most respected consultants, he has set up over 100 resort and mixed-use projects in 20 markets during his 30-year career. Key strengths include mixed-use resort development, branded residences, shared ownership, private residence clubs and hotel-related real estate. Paul’s forward-looking vision and enviable breadth of experience has won him plaudits among leading international business analysis providers including the Economist Intelligence Unit, Mintel and Lexis Nexis. He has authored sector-defining studies on hotel and mixed-use resort development, the Southeast Asian vacation ownership market, the global resort industry and the international vacation ownership industry. His latest work is a tome on Shared Ownership. Paul has held senior executive roles at international hospitality brands including Starwood and boasts clients hailing from Arthur D. Little, De Vere Hotels, Dubai Holdings, Hg Capital, Hilton Group, Interval International, Marriott Vacation Club International, RCI, Rank Group, Six Senses, Sunterra, Thakral, Thomas Cook, TUI AG, as well as a long list of independent boutique hospitality companies and developers. Mr. Jones has spent his entire 30+-year career in commercial real estate.Mr. Jones began his career in 1983 with John E. Scott & Associates, a firm specializing in commercial real estate analysis and market and feasibility studies, as well as highest and best use analyses. Mr. Jones was also frequently required to perform land use and property disposition studies for a number of public and private entities on all types of commercial real estate. During his career, he has also been involved with the sale, purchase, and development of all types of commercial real estate. Since 1990, however, Mr. Jones has been most heavily involved in all aspects of commercial real estate finance, including the analysis, structuring, financing, and placement of commercial real estate loans on all types of commercial real estate while working for various institutional lenders such as GE Capital, Wachovia, RBC Centura, and Regions Bank, and other Mortgage Banking firms as well. Mr. Jones is particularly skilled in commercial real estate Financial Analysis, Loan Structuring, Debt and Private Equity Placements, and Investor and Lender relations, just to name a few. $104 Million on behalf of Armada Hoffler on a mixed-use project in downtown Norfolk, Virginia which comprised a large, multi-story office tower, several hundred apartment units, and a public parking garage. From late 2004 to 2011, Mr. Jones also performed consulting work on behalf of Triple Net Properties (“NNN”) by serving as a lender-required risk manager and arbitrator for large (i.e. greater than $25 Million) commercial real estate projects purchased by NNN Properties, which were ultimately packaged into multi-billion-dollar pools for securitization. At the time, NNN was a $2 billion, Southern California-based commercial real estate firm (which was later purchased by Grubb & Ellis). It was created in 2004 to buy, own and operate Class A offices, medical offices, and apartments valued at $25MM and up nationwide under a tenants-in-common (TIC) ownership structure. In addition to his mortgage banking and other banking duties, Mr. Jones has also been involved in a number of special projects over the last 30+ years.From 1990 – 1996, he was integrally involved in the writing and editing of the nationally known Barron's/Levy National Mortgage Survey.This was, and still is, an on-going monthly publication of trends and commercial mortgage rates that appears the first Monday of each month in Barron's. It is written by Mr. Jones' former colleague, Mr. John Levy, and has been a regular feature in Barron's, and also in National Real Estate Investor, since 1983. Mr. Jones’ work in this regard was also once used to support Mr. Levy’s testimony during one particular private, closed-door session before The Board of Governors of the Federal Reserve and Mr. Alan Greenspan on the state of the commercial real estate market in 1993, which Mr. Jones was also asked to attend. Mr. Jones also worked extensively with Mr. Levy and Mr. Michael Giliberto (at the time, the Head of Economic Research at Salomon Brothers) to develop a special index for measuring the performance of commercial mortgages relative to publicly traded bonds. This index, now widely in use, is known as the Giliberto/Levy Commercial Performance Index. As of early 2018, Mr. Jones continues to be heavily involved in the refinance of commercial real estate for both individual and institutional owners of real property as a private consultant. He also performs commercial real estate appraisal work through a well-known central Virginia appraisal firm known as The Appraisal Group. (To-date, he has passed all required training by the Appraisal Board regarding the Universal Standards of Professional Appraisal Practice or USPAP and is also working diligently towards securing his MAI designation as well). Mr. Jones received his B.A. in American Government from the University of Virginia in 1982 and also pursued his Masters Degree in Business with a concentration in Real Estate and Urban Land Development from Virginia Commonwealth University from 1989-1991. Yoshiaki Kashino san bio - Partner/Co founder Tokyo InterAsia Advisors. Joined Sanwa Bank (currently Tokyo-Mitsubishi UFJ Bank) in 1987. After having executed overseas project finance, worked for Milbank, Tweed, a New York base law firm as an associate and executed Japanese government financial projects and middle east Asia projects. After returning to Japan, at Sanwa Bank, Capital Markets Planning Department, planned and executed acquisitions of an asset management company, several securities firms and also newly established online brokerage firm.At the Corporate Planning Division, executed bank merger and served as special staff of Banking Association of Japan. Then executed many investment banking activities and turnaround activities at Synergy Capital (Turnaround fund), Livedoor Securities, Tasco System, Lehman Brothers and Sharaku Corp. As a post merger integration (PMI) project, rolled as tentative CEO of BitCash Inc., a web money company. Chartered member of Japanese Securities Analyst Association. Attorney admitted in New York. Tentative CEO of Bitcash Inc.
Financial advisory for Chu-Ito Corporation as to investment into Tonden Corp.